Toyota has consistently been a top automaker in several different categories. The Camry, Rav4 and the Toyota Tundra have been top-sellers for years. In 2018, Toyota has left no stone unturned and completely upgraded several of it’s vehicles for the new year rollout. There has also been an increased focus on electric, hybrid and alternative fuel vehicles. SO, let’s take a closer look at the 2018 Toyota Lineup and some of the best features debuting this season. Other automakers might be feeling a crunch from a decline in sedan sales, but not Toyota. The Toyota Avalon and the Camry are still going strong. In fact, the Camry has just had a major overhaul and redesign for 2018. It’s truly versatile. The all-new Camry can now be outfitted with a 3.5 Liter V-6, a hybrid powertrain or two inline four-cylinder engines. The eight speed transmission is updated for 2018 and it now has bold exterior style enhancements. The mesh front grille looks ready for the racetrack and Toyota Safety Sense comes standard on every model. Compact cars offer a unique balance between affordability and sporty attitude. The 2018 Toyota lineup features five vehicles in this category: the Yaris and Yaris iA, the Corolla and Corolla iM, along with the Toyota 86. Most of these vehicles have not undergone any significant changes from the previous year. The Yaris iA was a IIHS Top Safety Pick and this year’s model is in line for a repeat performance. The Toyota Corolla still holds the crown as the “World’s Best Selling Car” selling one unit every 15 seconds. Just about every major automaker is taking a more aggressive approach to releasing more electric, hybrid and alternative fuel vehicles. Toyota is a leader in this segment with nine vehicles already available. The Camry, Avalon, Rav4, and Highlander all have hybrid versions with improved gas mileage. You should really take a closer look at the Mirai’s specs. This California cruiser breaks out nationwide in 2018 and boasts 312 miles per fillup. It’s a fuel cell vehicle that uses hydrogen and air to make electricity. SUVs and Crossovers are some of the most popular Toyota vehicles on the market. 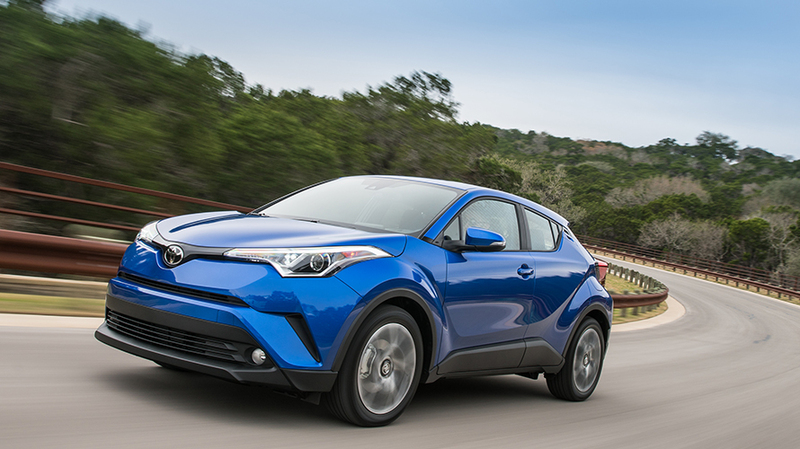 Currently, there are six: the C-HR and Rav4 are the smaller vehicles. Highlander and the 4Runner are in the mid-sized range while the Land Cruiser and the Sequoia top out the full-sized SUVs. The Rav4 gets a sportier exterior upgrade in 2018 and the Adventure trim sits a bit higher than the other models. The Sequoia is still large and in charge with 20-inch black wheels and black grille on the TRD Sport variant. Toyota has a minivan, the Sienna available for 2018. Although sales of minivans have declined in recent years, the Sienna still proves to be a family-friendly vehicle with new upgrades to the interior. The Sienna now has five USB ports, streaming rear seat entertainment with WiFi and a new suite of standard safety features. There are two standout trucks: the Tacoma and the Tundra. The Tacoma is one of the most reliable cars of 2018. There have been some changes to the Tundra. The TRD Sport model trim replaces TRD Pro this year and the regular cab has been phased out of the lineup.